“Sucker” is the band redefining themselves, with this new direction possessing a more retro flare than their previous work, and is essentially an anthem where the brothers are declaring how they are ‘suckers’ for their significant others, wives and fiancés who are very much at the forefront of their lives. Produced by Frank Dukes and Louis Bell, and co-written by Ryan Tedder, the song starts with Nick singing, “We go together/Better than birds of a feather” in falsetto, underlined by a groovy bass, drawing listeners in and seemingly announcing their strengthened reunion to die-hard fans. This is then followed by the pre-chorus led by Joe whose deeper tone lends the line “I been dancin’ on top of cars and stumblin’ out of bars” a sultry feel, and provides a contrast to Nick’s light falsetto. The chorus is filled with beautiful harmonies from the two brothers and its catchy lyrics ensure it as a pop hit that will be stuck in everyone’s heads. The claps and whistles throughout the song only add to it’s fun, playful vibe. In fact, the bridge is almost entirely whistles intermixed with a drum solo. Evidently, Nick really carries this song vocally, but it is Joe’s added flair and style within his lines that solidify the retro feel of the song. The music video for “Sucker,” released at the same time as the song, features the brothers’ significant others, Priyanka Chopra Jonas, who recently got married to Nick, Sophie Turner, Joe’s fiancee, and Danielle Jonas, the wife of Kevin, getting a personal concert from the boys. The couples are also shown running around a grand estate in the most extravagant clothes, having fancy parties and taking baths outside while being served cocktails. The video is fun and flirty, just like the song, but it also shows how the reunion is focused on the importance of family, as encapsulated by the ending shot of the video, where the three couples are seen standing together getting a family portrait painted. The Jonas Brothers are effectively celebrating the women in their lives with this work, and through it are speaking of how these women have made them into the Jonas Brothers they are today. Following the release of “Sucker,” the Jonas Brothers joined James Corden on “The Late Late Show with James Corden” for a week-long takeover to publicize their reunion and release. During it they explained what brought the band back together, with Nick saying it began when they were working on a documentary about their lives and through that process they were forced to address some of the conflicts that had led to the band’s split in a type of “forced therapy.” Out of that though came the realization there was “some kind of magic when [they] were together that [they] would love to all feel again,” as Nick said during Corden’s Carpool Karaoke segment. Who would have thought 2019 would consist of a Jonas Brothers reunion and a hit of of nostalgia? The theme of family that rings true from the music video and their time on “The Late Late Show with James Corden” only makes the reunion feel more real, far from the artificialness of a publicity ploy. And although some may say the song is simply popular due to the novelty of a comeback, “Sucker” is genuinely a hit, with a more funky and sultry tone that you don’t find on mainstream radio too often. Nick and Joe both have strong voices individually, but when brought together they really complement each other. 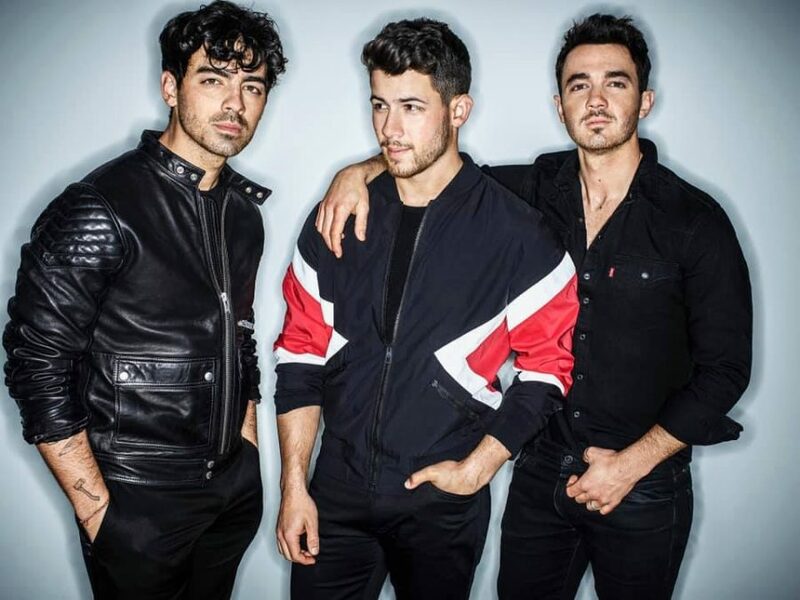 This first single’s success only makes the anticipation for a full-length album that much more intense, and there is no doubt that the reinvigorated Jonas Brothers fan base is ready for it!